Whether you are already familiar with ACE, or this is your first exposure, we hope you'll stay awhile. 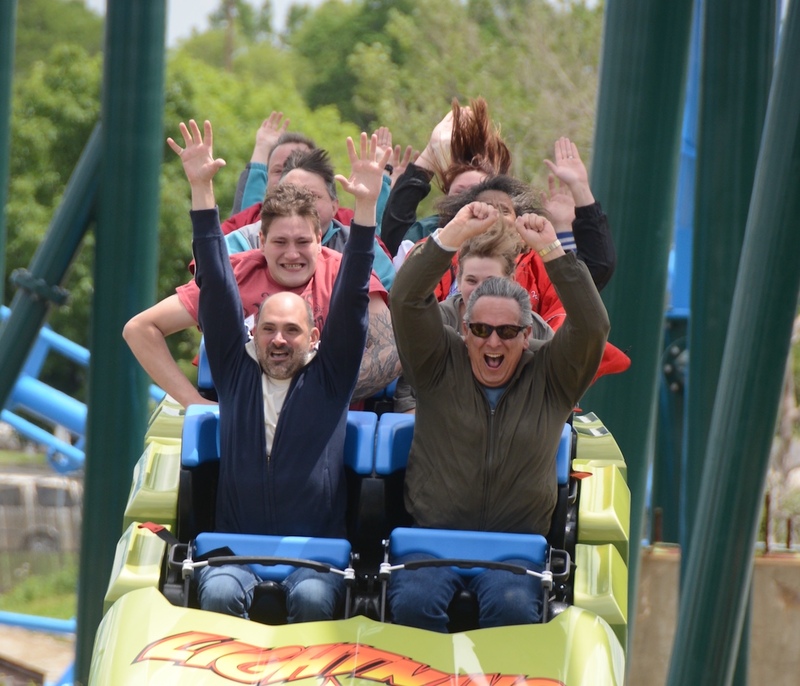 We like to say, “You join ACE for the roller coasters; you stay for the friendships.” Let us show you what we call "The ACE Advantage" and what makes ACE special and unlike any other group out there. 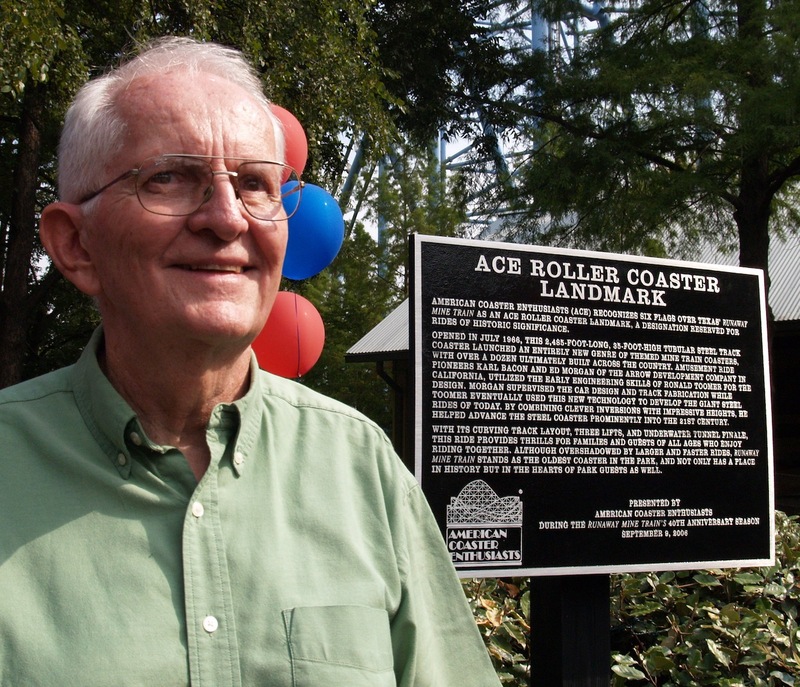 ACEers have a passion for riding roller coasters, so when that passion can help others at the same time, that is the definition of a win-win. 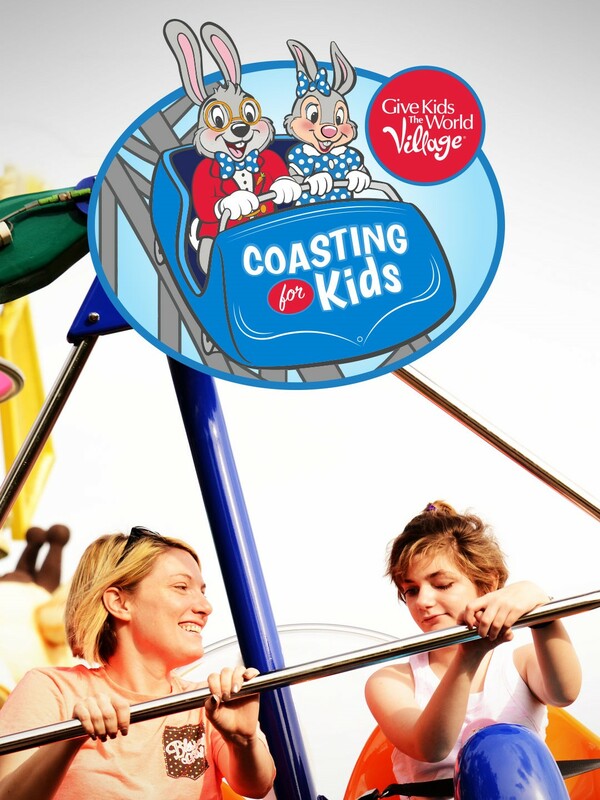 The upcoming Coasting for Kids events at various parks across the country will give coaster riders the opportunity to do something fun and support a good cause. 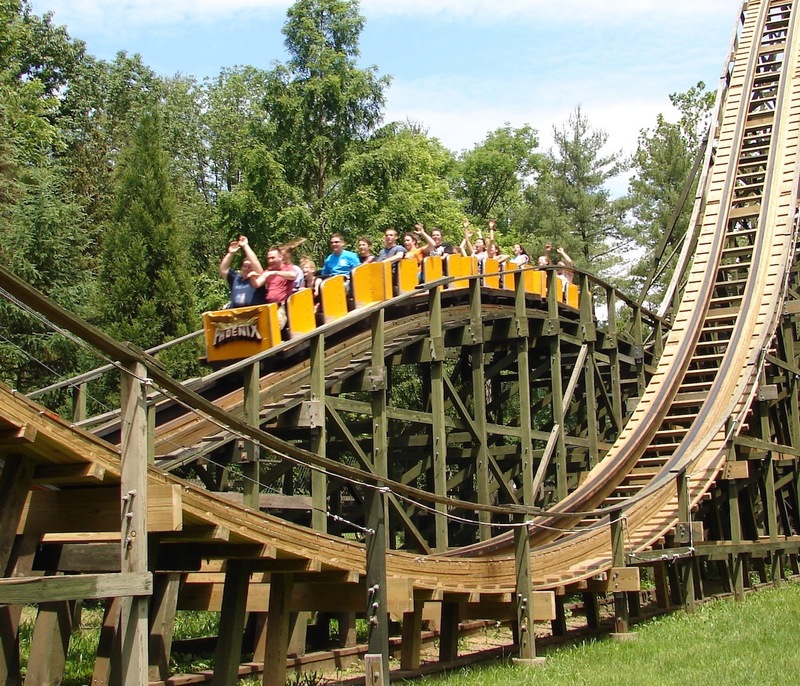 The arrival of spring brings promise of new rides and fun thrills. 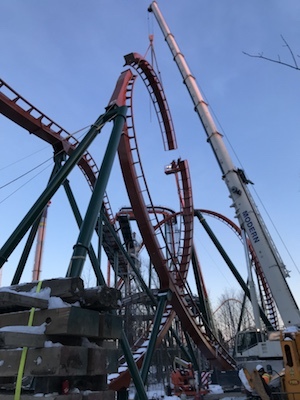 The record-setting Yukon Striker at Canada’s Wonderland (Vaughan, Ontario) is one such installation. 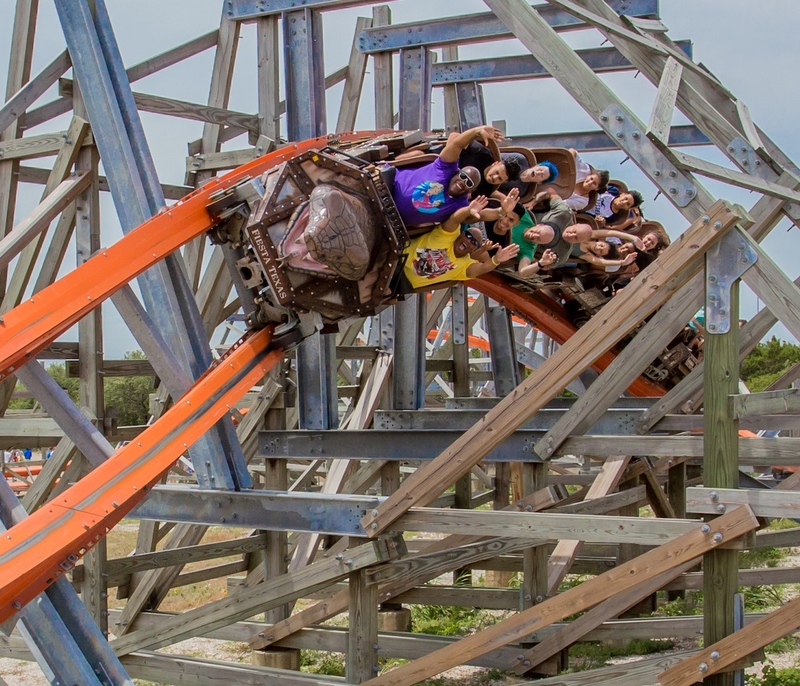 This dive coaster will break speed records by exceeding 80 mph, not to mention the most inversions on a B&M diver with four. Welcome to The New ACE News! 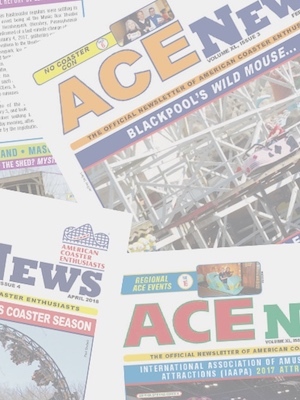 As approved by the membership last summer, ACE News has been transformed into an online publication. The April issue is now posted, and it is the first issue completely online with all articles individually posted in a format that is optimized for most any computer or mobile device.